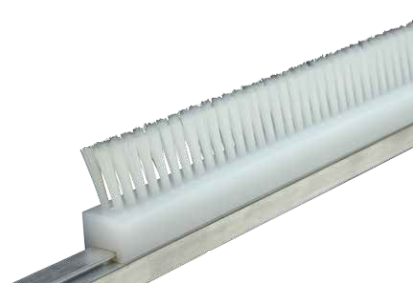 Our Conveyor Guide Rail Brushes offer numerous benefits, including product speed control, product protection and noise reduction. These brushes are available with natural nylon filament in 1" trim lengths in overall lengths of 5', 8' or 10'. The Tanis team will engineer and create a Conveyor Guide Rail Brush to match your exact application need. Contact our team to learn more.